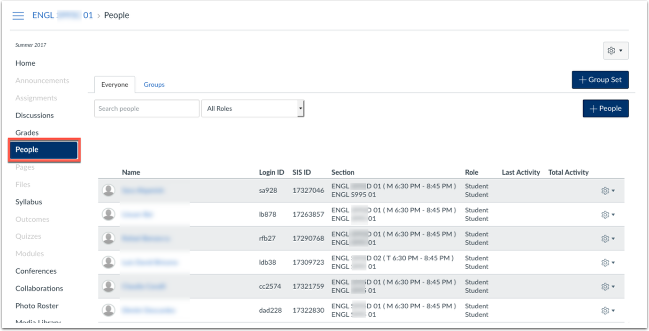 Find the time, date, and location for your discussion setting in various places throughout your Canvas course. 1. Navigate to the Settings tab in your course. 2. Click on Sections located near the top of the page. 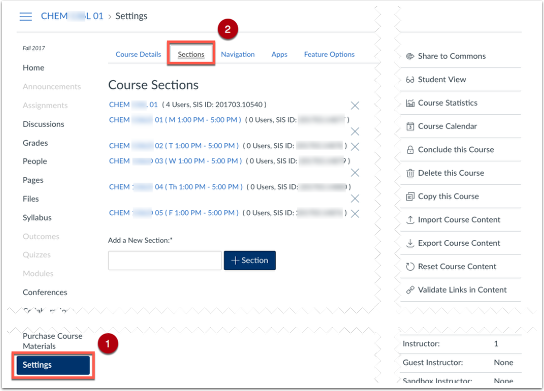 Navigate to the people tab in your course, and the section information will be next to the students name. If the email list tool is activated in your course, click the tab "Email Lists" on the left navigation, and the date and time in which the sections meets will be visible here as well. Prev: How do I create a zip file?